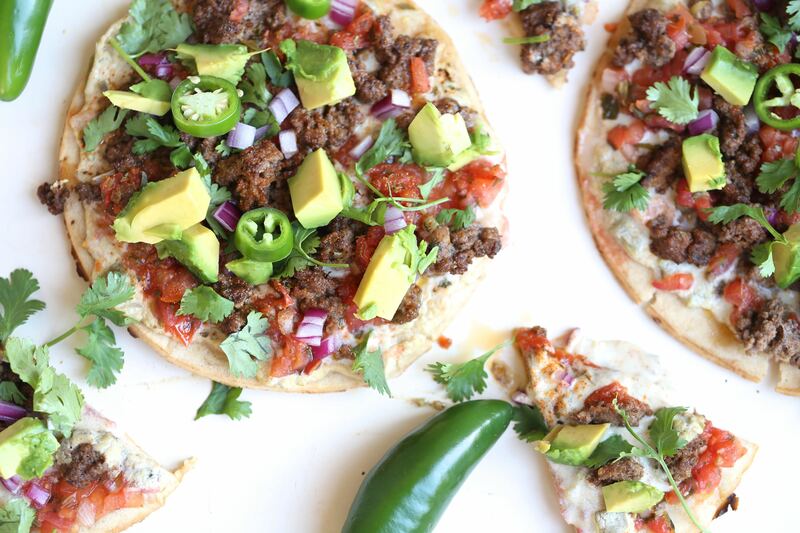 Love Pizza + Tacos?! We should be best friends. 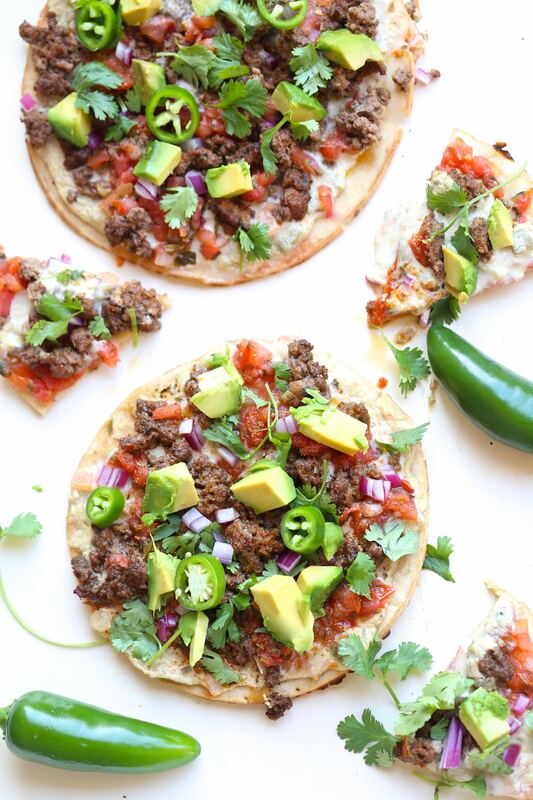 And to solidify our bond, you should also make this recipe for Paleo Taco Pizza. So yesterday was Taco Tuesday, which really is such an insult to tacos if you ask me. What makes the other days of the week bad choices for tacos? Exactly. I say we don’t disparage any food group or day of the week. 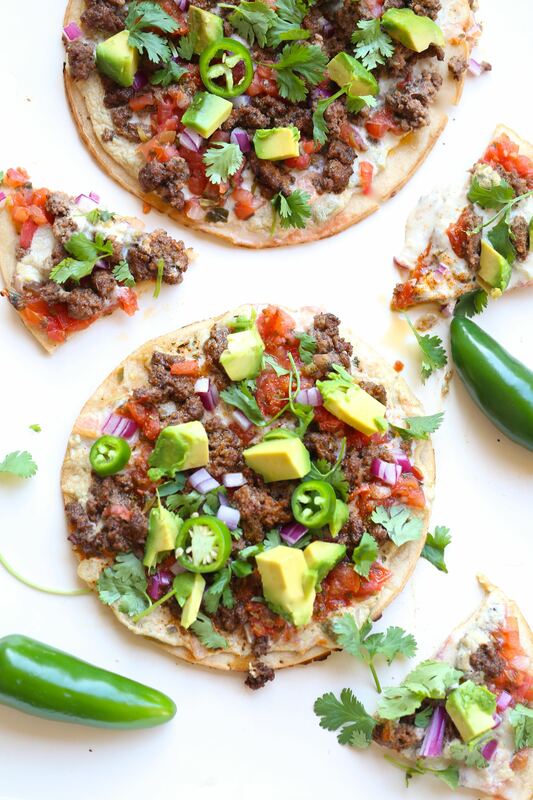 But my plan was to introduce you to this delicious new recipe that satisfies TWO food groups – both tacos AND pizza. It’s the American Dream, a blending of all the things. So as the day unfolded, I quickly realized that this recipe was not going to get posted on its assigned day. Between getting the kids ready for school, deciding to redo my office last minute (lookin’ at you feng shui), finding out some potential places we could move next Summer (always a fun game with the Air Force), and maybe 500 other boring things you’d rather not hear about, I knew I’d have to save this one for today. By the way, I’ve been so distracted by “things” I am behind on all Bravo shows, which if you know me must mean something up. The good news is the kids’ mysterious rashes are fading and I’m out of bed so I will do my due diligence to watch more Housewives and Southern Charm reunions this week. This I promise you. Oh and the new season of OITNB, seriously, I need to get on this. 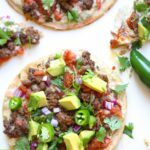 So while I go dig into mindless tv and pretend that Summer isn’t over, I give you this Paleo Taco Pizza, sure to please the masses and the dedicated food days of the week.